Health Secretary Matt Hancock says he will introduce new measures to help protect NHS staff from violence. A bill to double the sentence for assaults on emergency workers from six months to a year is shortly expected to become law too. 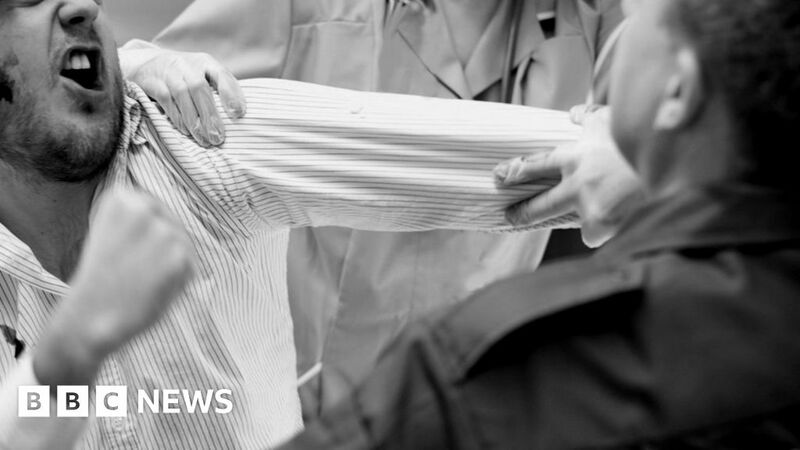 Tens of thousands of NHS staff experience violence each year. Some staff have started wearing body cameras. Sharon Morris, a nurse for more than 30 years, was attacked in the medium security mental health unit where she worked. The effect on her life has been profound. It was in 2016 that the abuse happened and she still experiences flashbacks and nightmares. “It was a patient I had been working with for a year and it all happened out of the blue. He went to attack a colleague and I stepped in. Sharon was off sick for three months and it took another three months after that for her to feel safe enough to work with patients again. “The worst bit is the psychological side. It’s made me feel very wary of people. For a while I would see my assailant’s face in other young men – even my eldest son, who is physically quite similar. Nurse Shelley Pearce was “taken hostage” by an alcoholic patient on an acute ward, who held a piece of broken plastic against her throat. She has also experienced other serious assaults, including being head-butted. NHS Protect, the body that was disbanded in March 2017, used to support and advise hospitals in England on staff safety. Afterwards, it was solely up to individual NHS trusts to safeguard their workers. Royal College of Nursing National Officer, Kim Sunley said: “Nurses and health care workers understand their roles aren’t risk-free but – to many – it still seems as if the threat of physical violence is a daily reality.